Para Bhakti is supreme devotion in Hinduism. In this concept in Hindu religion a human being achieves the highest form of desirelessness, unworldly, transcendental devotion to God. Para Bhakti is discussed mainly in the Shvetashvatara Upanishad (6/23) and the Bhagavad Gita (15/54). Bhagavad Gita states madbhaktim labhate param. Atma exists in two ways. All that exists on this side of creation is called apara. Absolute being beyond the universe is called para (transcendental). All prayers and modes of worship aimed at pleasing the deity to fulfill some worldly desire is apara bhakti. All knowledge and devotion in which there is an element of separateness or gain it is apara. Para bhakti is absolute devotion that makes the devotee forget his selfish desires, including any desire for moksha. All knowledge which teaches the unity with all beings is para. Para Bhakti is total surrender and merging with the Supreme Truth. In the Bhagavad Gita, Lord Krishna enunciates para bhakti as total submission to the Supreme Truth without any trace of ego and desire. That Brahman dwells in the heart of all creatures (Bhagavad Gita 18.61). Para Bhakti can be of different forms, the highest is doing all karmas as an offering to the Supreme Truth without any desire including for the results of the karma. Another form of Para Bhakti is prema bhakti it is devotional love of God. As per Narada Bhakti Sutra, prema bhakti is total devotion with unlimited love for God in which the lover has no desire expect for Brahman. 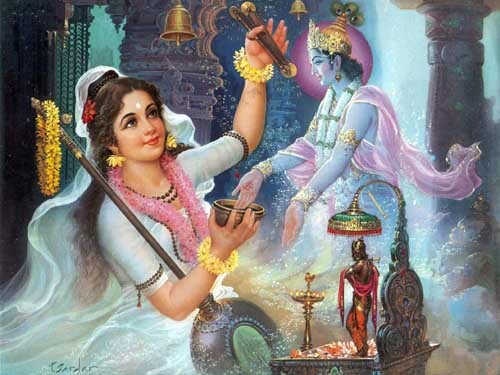 When the devotee completely merges with the Supreme Truth through love there is para bhakti. Escape from the cycle of birth and death takes place when a devotee reaches the state of para bhakti. So ultimately, all living beings have to reach the state of para bhakti.